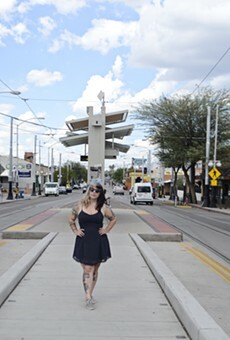 Since 1970, the Fourth Avenue Street Fair has been luring much of the Old Pueblo to the heart of the West University Neighborhood. Every winter and spring, about 250,000 people wander the booths, looking for tchotchkes, eating snacks and just getting their groove on. Even jaded Tucsonans enjoy people-watching from café windows. This twice-a-year event pleases all, it seems.